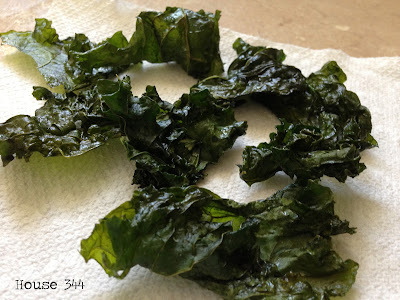 I made these kale chips last year and loved them! I had bought a bunch of kale for my green smoothies and didn't really love how they made my smoothie taste a little too grassy. I did a google search and found this recipe from The Food Network. It looked simple enough and really turned out great! 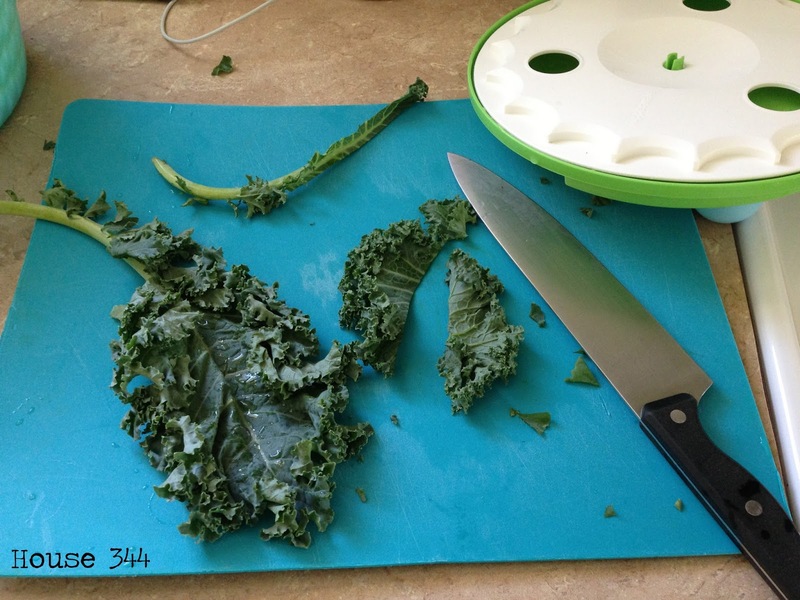 First off, cut the ribs from each leaf of kale. I tore them into chip sized pieces and put them in my salad spinner. 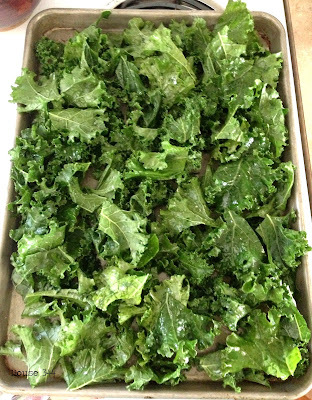 After spinning them, put them on a cookie sheet, drizzle them with olive oil, sprinkle with sea salt, then use your hands to toss them. Bake at 275 degrees for about 20 minutes, turning them halfway through. I had a lot on my sheet so ended up baking for a few more minutes. The majority of them come out deliciously crispy. There were a few that were not completely crispy but that didn't bother me. I don't know how well these keep because they are gone pretty quickly. Give them a try! They are a great snack and pretty nutritious too!